The TEXT function is one of the text and data functions. 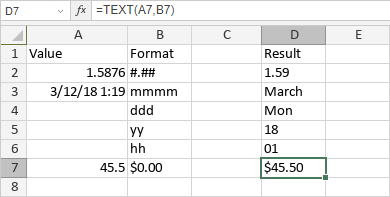 Is used to convert a value to a text in the specified format. value is a value to convert to text. format is a format to display the results in. The data can be entered manually or included into the cells you make reference to.